Two Guys Metal Reviews: DIY SLO Fundraise Vol. 1 Now out! 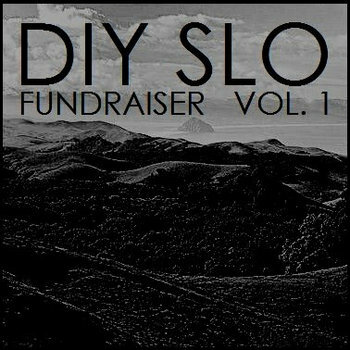 DIY SLO Fundraise Vol. 1 Now out! From the foggy shores of San Lis Obispo California a new DIY venue is rising up from the chthonic depths and needs your help! Time for some doom metal. With the goal of creating an all ages tour stop between San Francisco and Los Angeles the SLO Warehouse Board seek to benefit the music we love. Their new comp DIY SLO Fundraise Volume 1 is a beautiful thing made up of twenty seven stellar metal bands. (Most of them being doom) I've reviewed a handful and suffice to say, they are all pretty great. At the cost of one measly dollar what's really stopping you? Remember this was put together by the guys in some of YOUR favorite West Coast bands and their close friends. Album highlights include tracks from Meth Leppard, Serial Hawk and Lotus Eater, all glorious bands who are unforgiving and definitely in it for the music. Really, if you don't buy in to this comp, you just hate the underground and Blackie Lawless will have to come to you house and beat you to a pulp. I just put in my five dollar donation and I know for a fact that it is going to a good cause. You should too, for the benefit of SLO metalheads and the scene in general, don't you want to see the underground thrive?